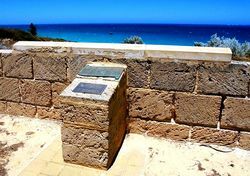 A monument commemorates the 350th anniversary of the wrecking of the Vergulde Draeck and commemorates those who died and those that were marooned in New Holland to survive as best they could in pre-colonial Western Australia. Vergulde Draeck ran onto a reef about 100 kilometres north of Perth, Western Australia on the night of 28 April 1656. The Dutch ship, belonging to the Vereenigde Oostindische Compagnie (VOC) or United East Indies Company in the Netherlands, had 193 crew and passengers on board. She was also carrying cargo, trade goods and silver coins worth 185,000 guilders. Only 75 people made it on to the shore of the mainland at a place now known as Eagle’s Nest. The ship’s Captain, Pieter Albertszoon, was amongst the survivors. He decided to stay with them and to appoint his understeersman (second officer) to lead a party of 7 to Batavia to report the tragedy and ask for a rescue vessel to be sent. On 7 June 1656 the understeersman arrived in Batavia, having sailed a small boat which had been saved from the wreck, and reported the loss of the Vergulde Draeck to the Commander of the Council of the VOC. Over several months and years several ships were sent out by the VOC Council to look for survivors. They and their treasure were never found. In Memory Of The Loss Of Almost 200 Lives Of The Crew Of The Ship "Vergulde Draeck" That Was Wrecked Off The Coast Near Here On 28 April 1656. The Ship Belonged To The Vereenigde Oost Indisch Compagnie (VOC) - United East Indies Company - Located In The Netherlands. 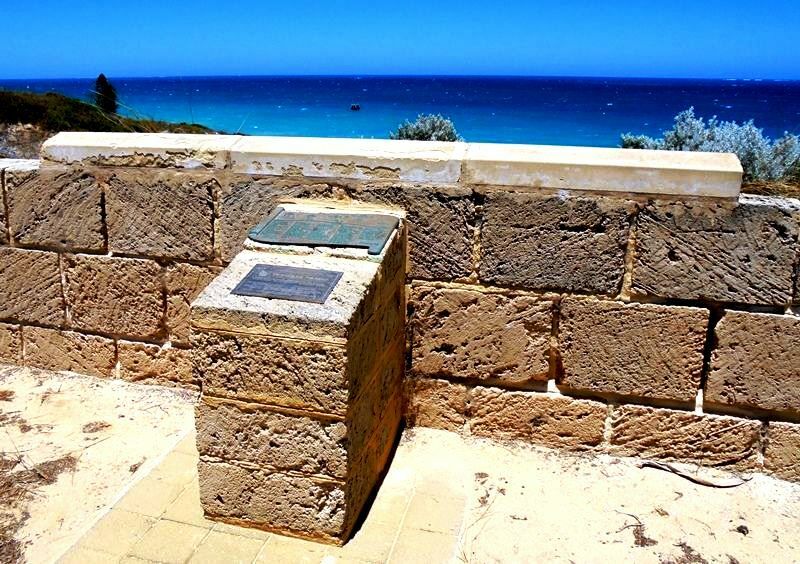 Many Of The Crew Perished But 75 Reached The Shore To Survive The Best They Could In Pre-Colonial Western Australia.